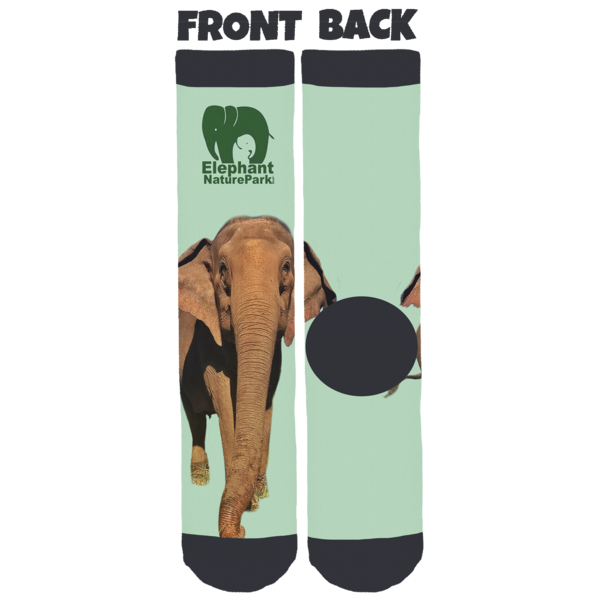 These Elephant Nature Park socks only available for a limited time. Be sure to get a pair while you still can! Proceeds from the sale of these socks will go towards the continued operation of this fantastic organization. 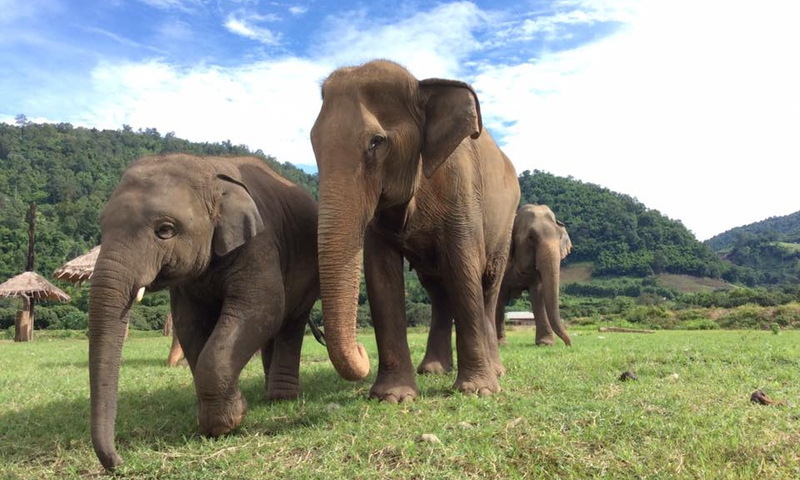 The park aims to protect and encourage a natural existence for elephants and other animals that have been innocent victims of abuse and exploitation. Volunteers and visitors can help heal their scars. These premium socks are made with 200 needle machines with the finest fabrics: 76% Cotton, 21% Nylon & 3% Elastane. Bamboo Rayon comes from Bamboo and feels softer than cotton. The socks are one size fits all, up to a size 12 Male U.S.
Hello! I am interested in purchasing an ENP t-shirt. How do I go about ordering one? Size Large, Men’s.